The next major task was the engines. 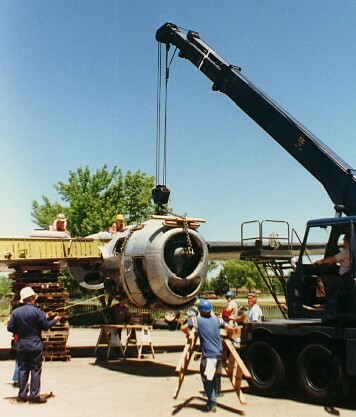 That took a crane from the 3415 Consolidated Maintenance Squadron as well as several volunteers to bolt the engines into place. 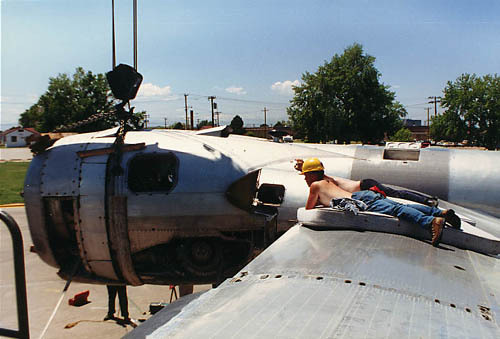 The props were bent at 90 degrees from another B-29's crash landing. We had to straighten and contour them to make them look real. 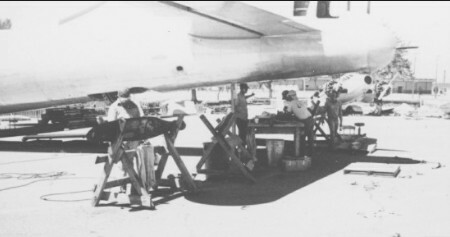 Hoisting the engines to the wings. The wings got so hot in the summer sun that we had to lay down on mattresses. One guy actually fried an egg on the wing! 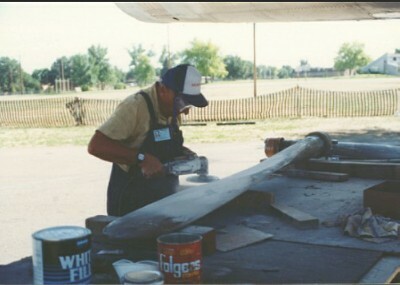 ... and Don working on a prop. 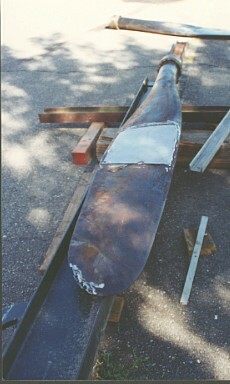 A prop that's just been straightened. Again, 3415 CMS provided a jig at the Trainer Fab Shop to do the job.